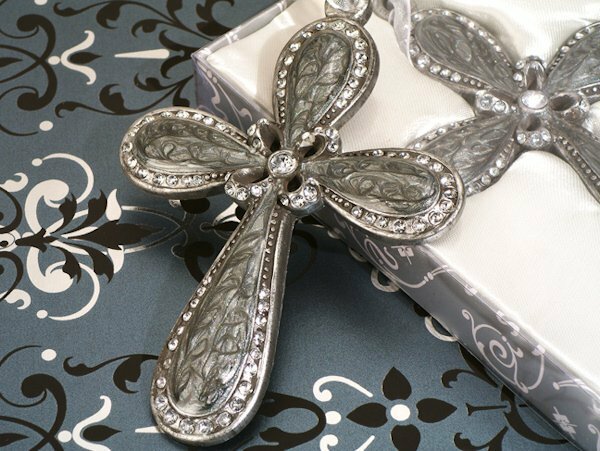 Commemorate your blessed event with our stunning marbleized pewter finish hanging cross. 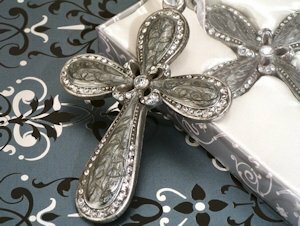 A perfect favor for a wedding, christening or first communion, each poly resin cross is embellished with crystals and includes an organza ribbon for hanging. They come elegantly packaged in a silver and white pattern gift box with white satin lining for that perfect touch. Cross measures 3" x 4".